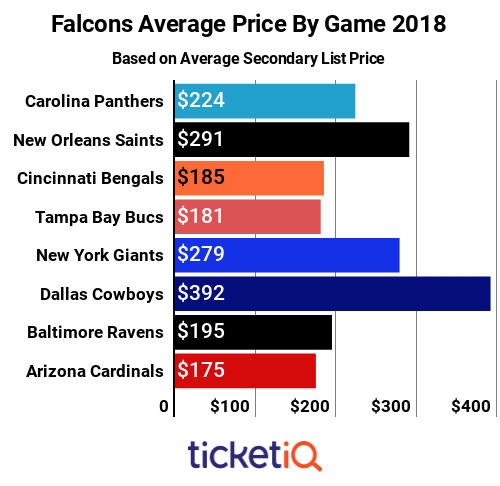 With the first regular-season home game less than two weeks away, below is how Falcons tickets prices stack up on the secondary market across the league. As you can see below, Falcons tickets are down 49%, owing in large part to Atlanta failing to get to Super Bowl for the second consecutive season. 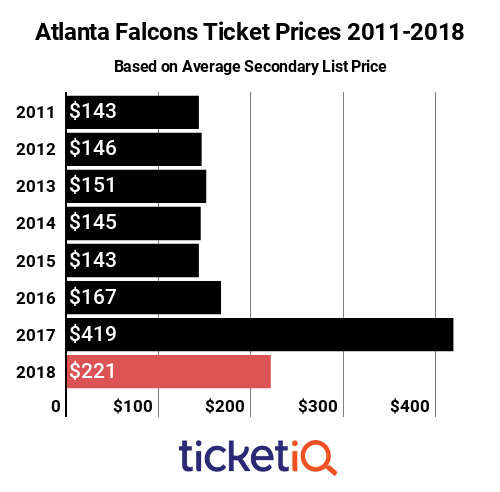 Even with the drop, tickets to Falcons games are the second most expensive since 2011, when TicketIQ.com began tracking data. Atlanta finished third in the NFC South in 2017 and lost a divisional playoff game to the eventual Super Bowl champion Philadelphia Eagles. While tickets seem like a steal compared to last year -- $221 vs. $419 – they’re still among the top half of the NFL in terms of ticket prices, ranking No. 14, and more than half of the games at Mercedes-Benz Arena have average asking prices of more than $200. The stadium is sold out for most home games on the primary market, though fans can buy tickets through the NFL Ticket Exchange on Ticketmaster on the secondary market or through secondary marketplace TicketIQ.com, which has seats for all games available with the company’s Low Price Guarantee. 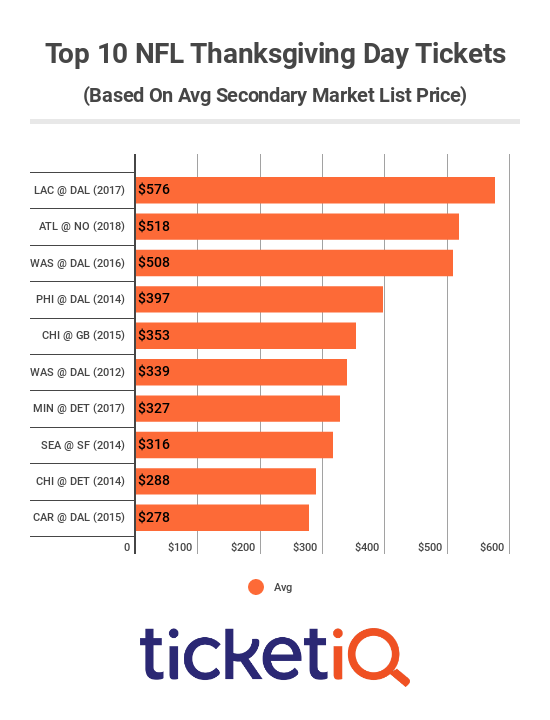 The priciest game in Atlanta this season will be against the Dallas Cowboys, for which the average asking price on the secondary market is $392. Fans can get in for as little at $178. Both teams have been slow to find their groove during the preseason, but should either team be in the hunt by the time November 18 rolls around, expect ticket prices to rise.